Surrounded by private gardens, the Villa Happy. 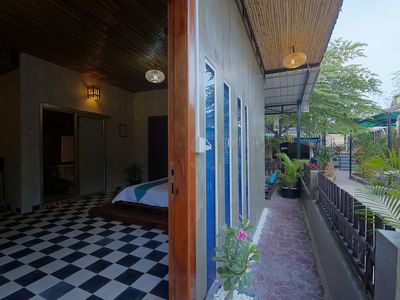 This family-run guesthouse with German-Khmer owners offers accommodation in Battambang. Free Wi-Fi in all areas. 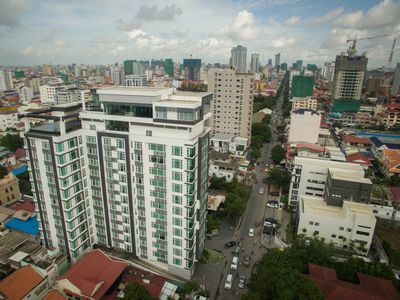 The Sangke Pagoda 2.2 km away and the shopping center Borey Thmey Mall is 2.8 km away. 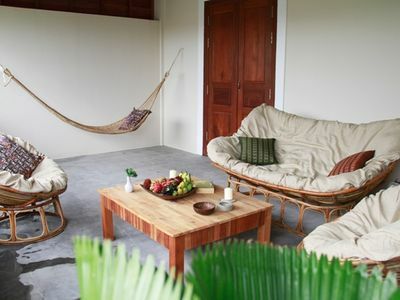 The Battambang Station of the Royal Cambodian Railways and the Museum of Battambang located 3.4 km from the Happy Villa. 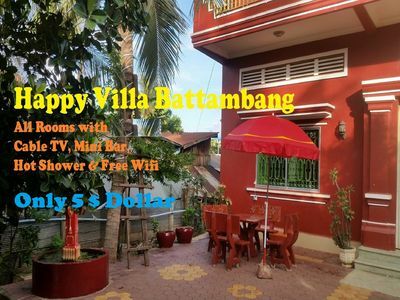 The nearest airport is 2.4 km away Battambang Airport. Airport transfers and shuttle services at an additional cost. 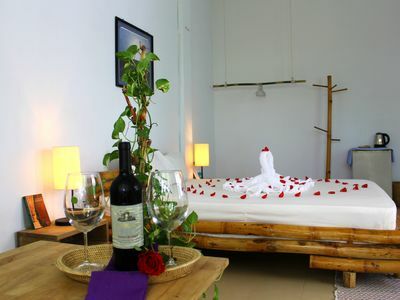 The air-conditioned rooms are equipped with a minibar and a flat-screen cable TV. The en suite bathrooms with hot showers free toiletries provided. On-site facilities include a shared kitchen. Staff at the 24-hour front desk can assist with currency exchange, organizing excursions, ticket service and luggage storage. 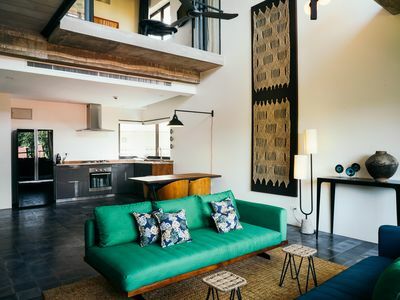 In the surroundings offer various recreational activities such as cycling and walking. 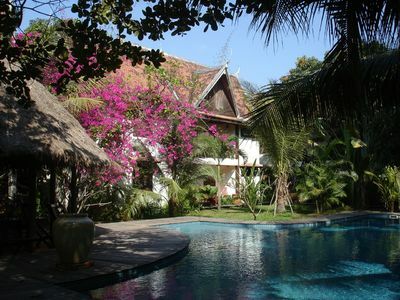 Mysteres d'Angkor your lodge with swimming pool in the heart of a large tropical garden ..